Item # 314658 Stash Points: 5,495 (?) This is the number of points you get in The Zumiez Stash for purchasing this item. Stash points are redeemable for exclusive rewards only available to Zumiez Stash members. To redeem your points check out the rewards catalog on thestash.zumiez.com. 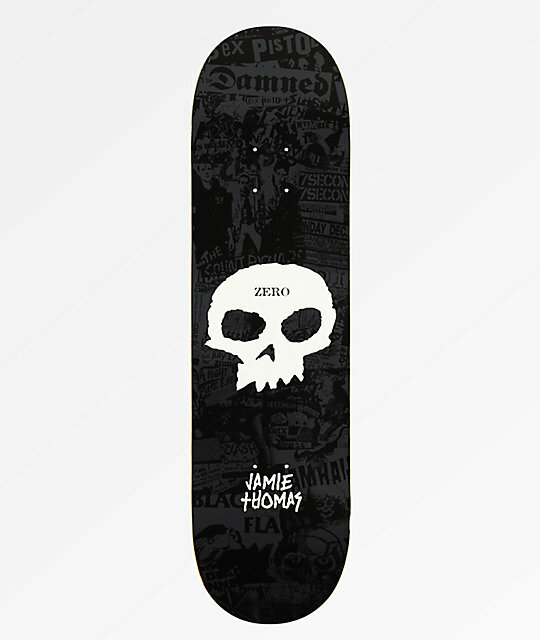 One of the pioneers in street skateboarding, helping redefine the definition of what a "hammer" constitutes as, Jamie Thomas receives yet another well deserved pro model board dubbed the Thomas Punk Band 8.375" Skateboard Deck. Offering steep concave and medium sized wheel wells, this board provides great pop and boardfeel. Finished with Zero's signature skull emblem at the center of the underside that's surrounded by an array of different iconic punk rock band logos, script and graphics. 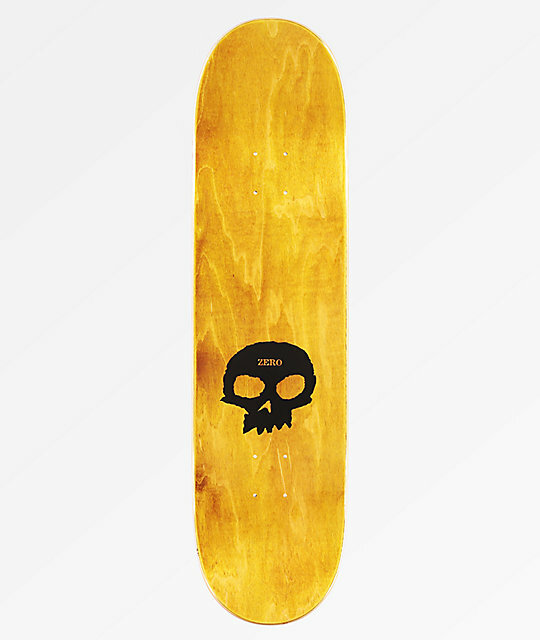 Thomas Punk Band 8.375" Skateboard Deck from Zero.